ATM Fees – Chances are that your bank charges you a hefty fee to use “out of network” ATM machines, while the owners of said machines also charge you a fee for the privilege of using their machine. Those fees add up quickly at $5+ per ATM transaction! While you can avoid those fees by either using only your bank’s ATM machines and/or getting cash back on debit transactions, I have avoided ATM fees altogether by switching to Charles Schwab bank, which reimburses any and all ATM fees you may be charged by using any ATM machine. Lottery Tickets – Often called a “Tax on the Poor”, spending a fortune on lottery tickets is a foolhardy way to try to get rich. Sure, it happens to some people once in a great while but it’s probably not going to happen to you. That being said, I myself do buy the occasional $1 ticket just to give myself a quick boost in the “what if…” section of my brain, knowing full well I am not going to win. $1 isn’t going to break me anytime soon, but consumers spend $70 billion per year on lottery tickets. That’s a lot of wasted money. Gourmet Coffee – I disagree 100% with this item on the list, as coffee is my savior in the morning…and afternoon…and sometimes even after dinner. I buy only organic (as coffee is one of the most pesticide-laden foods for sale) and fair-trade coffee for my house, and it’s worth every penny — for my sanity and my health. There really is a difference between cheap coffee and organic, fresh, well-grown beans. Infomercial shopping – $400 billion dollars per year is spent on infomercial shopping. Yes, I said BILLION. And on stuff that the average person neither needs or actually wants. The impulse shopping that takes place from TV advertising is a plague on people’s wallets and bank accounts, and 99% of the time I would say is a complete waste of money. The solution? Either DVR only the TV shows you want to watch and watch nothing more — or ditch the TV altogether. Raise your hand if you don’t own a TV! It’s been a great decision for my wallet and my head, ditching the tube. So this brings me back to you – what do you waste money on? What do you see other people waste money on? For some money wasters, going through checklists like the one containing all the items above can save a lot more money than searching for a “Save $0.10 on your next bag of potato chips” coupon before the next trip to the grocery store. By using common sense and by monitoring where your money truly goes, saving some money on “money wasters” can go a long way to keeping that bank account balance up where it belongs! These are some solid 10 tips for saving money and another one that comes to the top of my head is going out to dinner. Cooking at home saves a TON of money!! Going out to have dinner means you spend a lot of money on cocktails, gas, and other assorted expenditures, also the meal itself. But then if everyone stays home to eat, doesn’t watch tv, no restaurants, not going to mall then all of those businesses will run out-of-business and then ur pharmacy n dr’s bills will b high due to prescription anti-depressants! I think we need to spend money in moderation rather not spend at all. Many people are losing jobs lately n it is wise thing to save one’s money but sometimes that can ruin other peoples businesses and in turn lives. Wat do think abt that? @hash, they’re not saying don’t eat, don’t have coffee, don’t have water, don’t have TV. They’re saying to eat your own cooking, drink less expensive coffee and water, and don’t watch commercials with your TV–you could still read or get your TV from DVDs. That’s not making ME feel depressed. I wish I could say I never need to use the ATM machine but it happens. So like you mentioned, I just go buy a $2 item at the grocery store beside a bank instead of using the ATM and paying the fee. I figure I would rather get $2 worth of newspaper or food than get nothing! Great tips. I usually don’t bring too much money with me. Aside from the reason that i will not be able to spend too much than what I have, It’s also a good precaution for muggers. I don’t know about the home phone one. My mother always taught me that I had to have a landline to use in case of emergency, so I’ve always kept a no-voicemail, no-frills, dialtone-only landline around. It does make it easier to call 911 at least, because it shows them where you’re calling from, which a cell phone doesn’t (yet). And recently, a friend who’s staying with us lost her cell phone temporarily in a fight with her boyfriend. She didn’t have to lose all touch with friends and family while we were running around at work with our cell phones in our own pockets; she could use our landline to get her affairs in order and get support. And, of course, for many people it’s a requirement for their DSL lines 🙂 Although I am VERY glad that we finally managed to ditch AT&T and got a VOIP/DSL account with a local independent company for the same price that AT&T wanted to charge for just DSL. I wouldn’t care so much if it was just the small difference in total cost, but AT&T’s customer service is so incompetent that I’d rather pay double than talk to them ever again. Also… sure going for the big wins can save a lot more than a ten-cent coupon. But if you’re willing to invest a small amount of time in couponing, you can get big wins there. Example: I bought 12 boxes of Cheerios for 99 cents each a few months ago, and every time my wife opens one, we “buy” it by taking the $2.49 we saved out of the grocery budget and putting it into the savings account. Same thing with a recent haul of local coupons for things we’d buy anyway that were about to expire. We manage to put at least $20 extra into savings each month just from a tiny amount of messing around with coupons this way – more than we’d save by axing the landline! Cutting coupons, really, is mostly good if you are big into buying food from the inside aisles of the store. And that stuff is mostly junk! If you eat fresh veggies, fruit, meat and the – there is no need for coupons. beware buying a Costco and Sams. sometimes the prices are the same as the regular grocery store. Do the math before you buy. Plus that electronic device your getting cheap may not be the same quality at the Electronic store. If you want gourmet coffee for cheap, roast at home. Green beans are $5-6 per pound. You can rig your own roaster in the oven for free, or the less expensive commercial ones run about $150. Considering store bought good coffee costs $12-14 per pound, the roaster will pay off in about 30 pounds of coffee. That about 6 months of my coffee intake. The library would be nice but they have their limits too. ATM’s once were not a problem when you had stores that allowed you to take cash advances at the registers without fees. I have a soft spot for books, and I spend too much money on them. I do also borrow books from the library, but as I was studying towards my advanced degree, I found that it was a lot handier to have instant access to certain books (both reference and otherwise) than to put in the time and effort to pick out those books from the library. Still, I buy too many books, and I should cut it down. Just looked up frugal websites on-line. I have been looking @ each individual one for an hour. Yours is the best! Great forum for saving money, and your writing style rocks! Keep up the good work. Can’t wait to read more. A big way that people waste money is on food. When you go shopping think about how you will use each item. For instance, don’t by a block of cheese for that special sunday chip dip if you are not going to use the rest of it later in the week. A lot people don’t realize the power of tracking exactly how much you are wasting each month. Food isn’t cheap these days. Hi – I’m an 18 year old student in Singapore. I am taking a personal finance class, so I’ve been interested in finding different ways to save money when I’m older, out of the house, and can’t spend my parents money anymore unfortunately… Anyway, I literally agree with everything you have said here. Quality vs. the price of things (the coffee), my parents do the exact same thing. I loved the infomercial comment, I actually LOL’d, because I miss watching TV in the States and seeing those so corny commercials (Snuggies… really?) And I can proudly say I have not spent ANY money, and neither have my parents, on those things. Love the blog – really informative. We can also train ourselves to subconsciously avoid wasting money. Using these tricks will prevent you from wasting money and will allow to save it for the future. If you earn you will spend the money wasting is nothing, expenses come by. 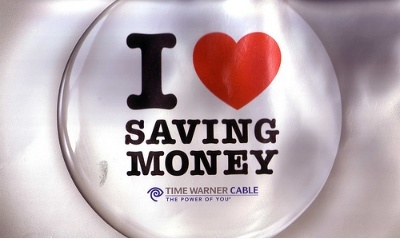 But save something atleast for the future..
Cable/Satellite. I’ve saved thousands of $$ over the last 5 years by getting rid of these. It seems lots of folks think of them as necessities. January is tracking everything I spend, I always use a certain amount when it comes to food and gas, but I have no idea if I’m meeting that target every month. I read The Richest Man In Babylon last year as well as a few other books, and this month I am reading The Millionaire Next Door and I Will Teach You to be Rich! I cut back on the lottery. Now I only play once a month a small amount. Having a chance at least in it is always fun. I truly agree on this, because I usually bought unimportant things such as DVD’s wherein you can use/watch them once or twice, or buy a novel to read on and such. I then realized that, instead of wasting money on these, why not buy a life insurance for me and for my family’s future! I agree with you 100% on the coffee. I get paid for both getting stuff done and the amount of hours I can work. A 3 dollar cup of coffee might make me an extra hundred dollars in a day. Financially it makes sense for me to not be tired. Now if you have a job where you just have to show up and you get paid I can see how that’s another story. I just wanted to disagree on the bottled water part. If someone doesnt want bottled water then they should at least consider some sort of water filter. Tap water is full of flouride which is extremely harmful. I rather pay a premium and avoid flouride. Books books and more books. I can’t keep my hands off a good boo and at times they aren’t always available from my local library. On evaluating my expenses and realizing the chunk of money they take, not to mention the hassle of carrying them during a move, nowadays am opting to well, borrow from the lib, exchange with friends, buy digital copies if available. Additionally am slowly selling my collection and hopefully can net a healthy return.